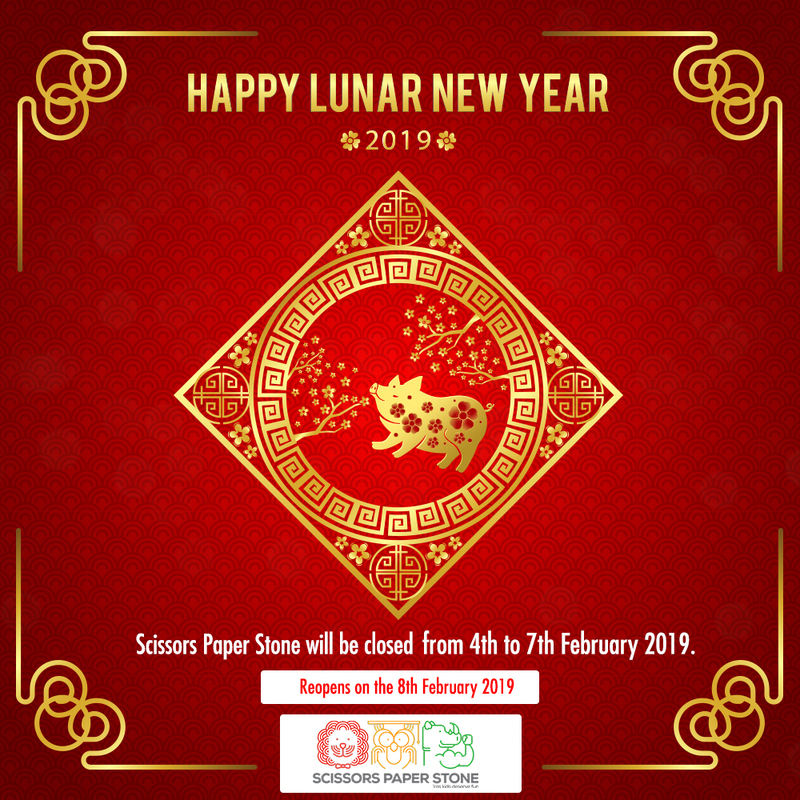 During the Lunar New Year 2019, all outlets of Scissors Paper Stone will remain closed from 4th to 7th Feb 2019. Our outlets will resume operations from 8th Feb 2019 onwards. © 2014 scissorspaperstone.com.sg. All rights reserved.